Keep your leaf blower running well with an annual service at Haughton Power Equipment. If its getting harder to start or stalling when you apply the throttle its crying out for a service. The answer is easy and you already know what to do. Regular servicing and maintenance, and these small engines will be easier to start, run more efficiently and best of all stop stressing you out every time you go to use it. 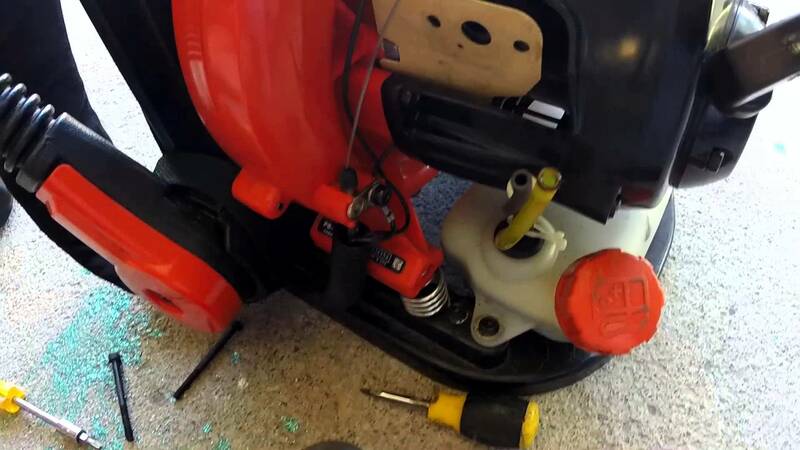 Don't leave it any longer, stop fighting with your leaf blower, its timer to get our mechanics to service/repair it. We work on all makes and models of leaf blowers. 2 stroke and 4 stroke engine types. Blowers, Backpack Blowers, Blower Vac Handheld or Push. Repairs are charged at $99 per hour plus parts. You may like to opt for a quote first, this way you can pay a $55 fee to have the mechanic quote the repair prior to commencing the repair. This fee will then be deducted from the cost of the repair if you proceed. This is a better option if the repairs are more significant.